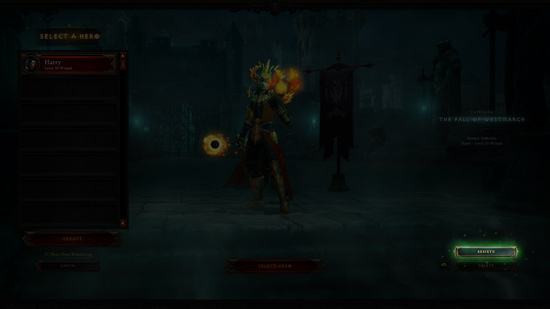 Alternatively, you can use the Season Rebirth feature to continue your adventures on an existing character by starting over this Season. You can select a character for Rebirth on the Hero Selection screen. Simply hit the “Rebirth” button in the lower right-hand corner and begin your next adventure! Any of the gear or items equipped on your character or in your inventory will be automatically stripped from the hero and mailed to your non-Seasonal characters, similar to the rollover process that occurs with your stash space when a Season ends. In addition, your character will be reduced to level 1, ready to start the process as though they were freshly created! 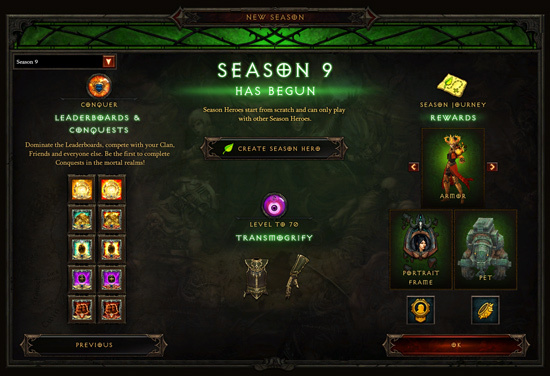 Season 9 will offer unique rewards and new challenges for players, including new cosmetic items, pieces of an exclusive Transmogrification set only available to those who participate in Seasons, and Season-only achievements called Conquests. 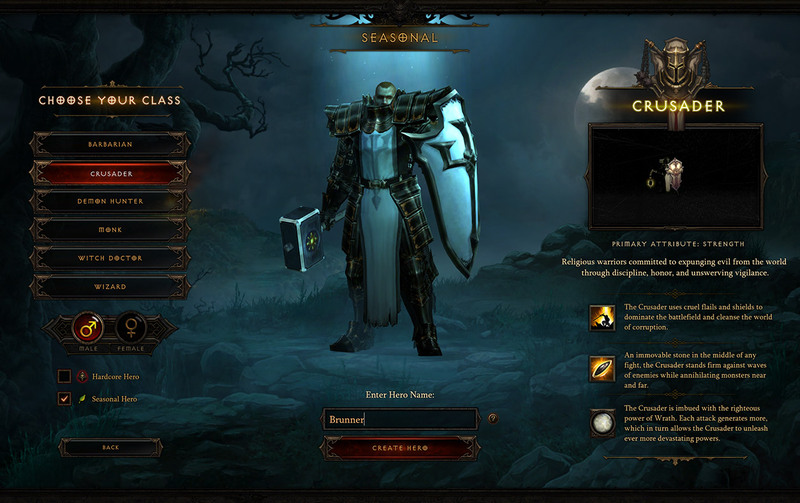 Progress within a given Season will also be tracked on the Leaderboard system, and in the Seasons Journey interface. 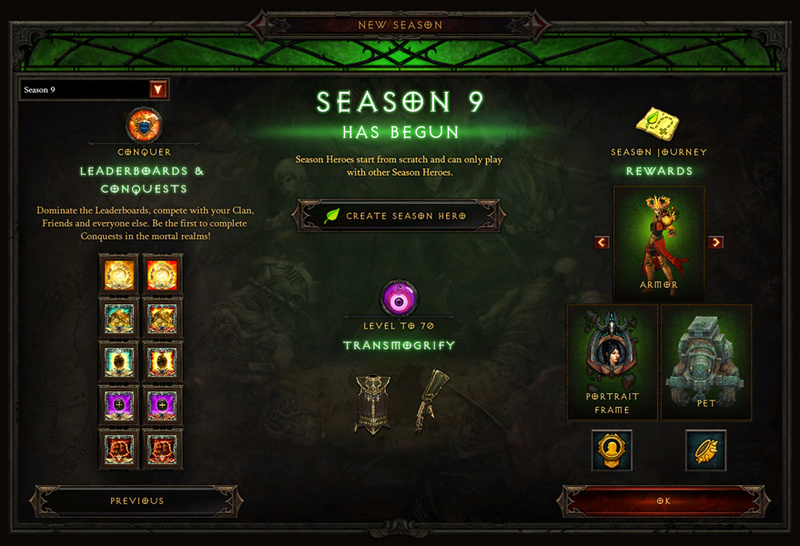 To learn more about Season 9, check out our Season 9 preview.